The USA is not only skyscrapers and noisy cities. There are many other attractions and natural phenomena. Many people fall in love with this country at first sight. On the vast territory of the country, one can find impressive national parks and nature reserves, waterfalls, rivers, lakes, and surreal mountain landscapes. The idea to go for a honeymoon to the USA and spend the most unforgettable time of your life in America sounds very tempting. We’d like to present you the top 5 best places for a honeymoon in the United States of America. This one of the deepest canyons is one of the Seven Wonders of the World. Taking a look at the Grand Canyon, you feel like a grain in the gorge of the Earth. The size of the Grand Canyon is 446 km long, 29 km wide, and more than 1,800 m deep. 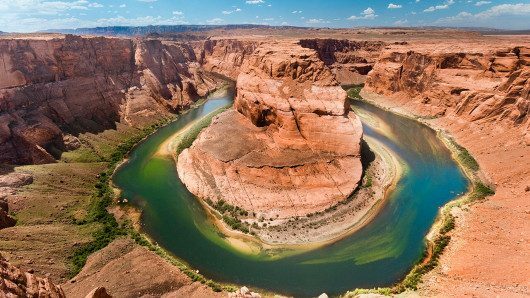 It was formed by the Colorado River. Today, streams of water continue to deepen the canyon, creating amazing stone structures. Here, the flora, fauna, and even the weather depending on the depth. At the bottom it is hot, there are cacti and other desert vegetation. Going up the hill, you can see deciduous trees, higher – coniferous. The Grand Canyon houses 1,500 plant species, 350 bird species, 9 wild animals species, 90 mammal species, 45 reptile species, and 17 fish species. Every year, the Grand Canyon is visited by more than 5 million people. One of the most popular places in the Grand Canyon is the Skywalk viewing platform; the bridge is made in the form of a 65-foot-wide transparent horseshoe that hangs in the air. The entrance ticket to the unique viewing platform is $ 70, but the emotions are worth the money. Yellowstone National Park is the first national park in the United States and in the world. 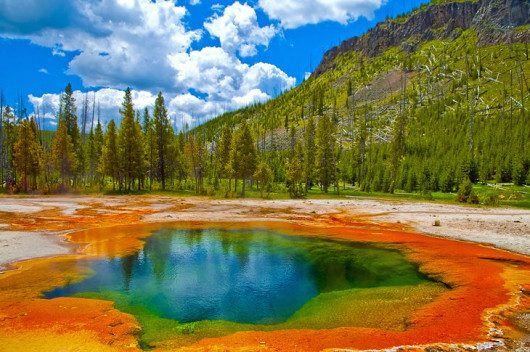 Yellowstone is an old volcano, and it is surrounded by stunning scenery with amazing natural phenomena, such as geysers and hot springs (almost 10,000), incredible waterfalls and rivers, caves and canyons. However, these are just some of the attractions of Yellowstone. Here, in addition to the beauty of nature, you can meet many species of wild animals: bison, bighorn sheep, antelope, wolf, aurochs, deer, black bear, and grizzly. About three million people visit the park annually. On the territory of the park, you can find accommodation in a hotel or set camp in the campgrounds. 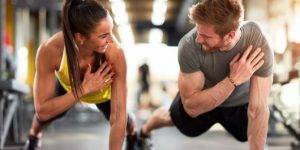 Do you and your loved one like parties and clubs? 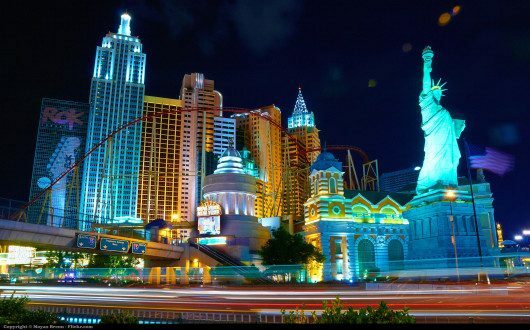 In this case, you should spend your honeymoon in Las Vegas! There, you can enjoy a truly fantastic atmosphere, the best parties, nightclubs, and entertainment for any taste and budget. Also, be sure to visit the Las Vegas Strip. This street has become world famous due to a large number of hotels and casinos located on it. It is considered one of the brightest and most picturesque night streets in the world. You can admire the dancing fountains (Bellagio Hotel), the Eiffel Tower, the Venice Canals, the Luxor Hotel, which was built in the shape of a pyramid, watch musicals and visit colorful shows, museums, and exhibitions. The Florida Keys is a coral archipelago of 1,700 islands located on the southern coast of Florida. 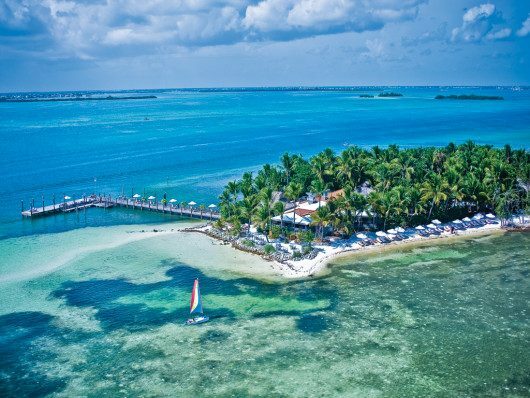 The most well-known island is Key West, which is famous for its cheerful atmosphere and for being the southernmost city in the continental United States. 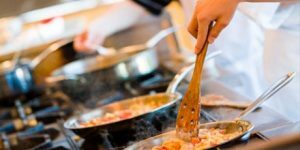 Here, you will find a lot of impressive things to entertain yourself during your honeymoon, as there are many places where you can enjoy delicious food and have fun. For example, go snorkeling in the crystal clear waters of Key West. Also, you can swim with dolphins, visit local museums, and try out water activities such as sailing, parasailing, and kitesurfing. This city is also famous for its numerous festivals, including Pride Fest in June and Fantasy Fest in October. A cozy and romantic holiday in the United States can be spent on Lake Tahoe. In this amazing place, you are sure to find suitable and affordable accommodation ranging from luxury hotels to small village apartments. In winter, you can go skiing or snowboarding at the Lake Tahoe ski resort, which offers stunning views. And in the summer, it is worth playing golf, go cycling and fishing. 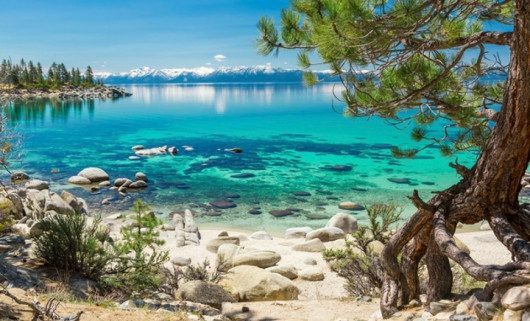 Lake Tahoe offers relaxation within the most beautiful landscapes around and provides an opportunity to rest with a loved one away from the hustle and bustle of the city. 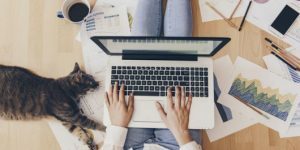 Planning to Work From Home? You Might Want to Reconsider It!